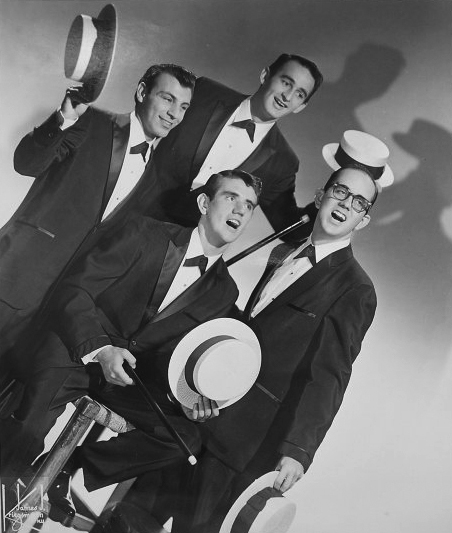 In 1952, after months of performing at local functions, The Five Sharps were spotted by a producer and taken into a studio to record two songs. 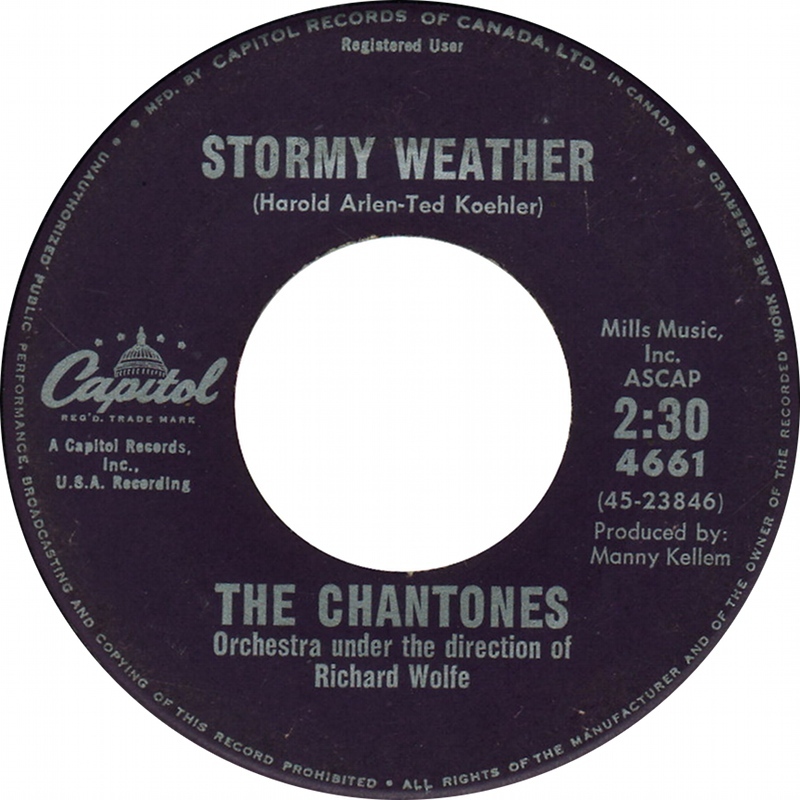 The group recorded their own “Sleepy Cowboy” and the standard “Stormy Weather“. The session took most of the day and they were paid in hot dogs and soda pop. 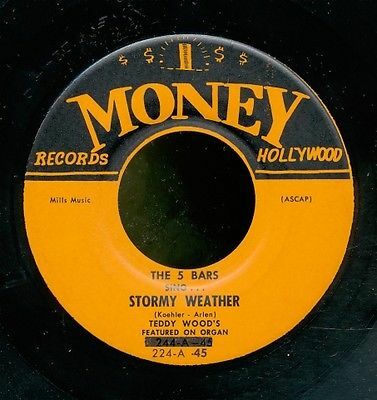 First tenor Bobby Ward remembers that sales of “Stormy Weather” were so bad that he and the other members had to buy their own copies even though they’d never been paid for the recording in the first place. The song was released on Jubilee #5104. In late 1961, record collector Billy Pensabene found a 78 rpm copy of the record and brought it to Times Square Records, run by Irving “Slim” Rose. Slim borrowed the record to play on his “Sink Or Swim With Swingin’ Slim” radio show on WBNX. While in his care, however, the record was broken. Slim admitted in June 1965 that the record “broke under [his] arm” on the way home from the studio, but at other times he claimed that his pet raccoon, Teddy, had broken the disc by sitting on it. Slim assured his angry customer that he would replace the broken record. He put up a sign in his store offering $25 in credit for a 78 of the song and $50 for a 45 rpm single. When weeks went by without any takers on his offer, Slim raised the rewards. Slim then went to the owner of Jubilee Records, Jerry Blaine, to get him to reissue the original. He was told that “Stormy Weather” was one of a batch of 80 masters which had been destroyed in a fire. 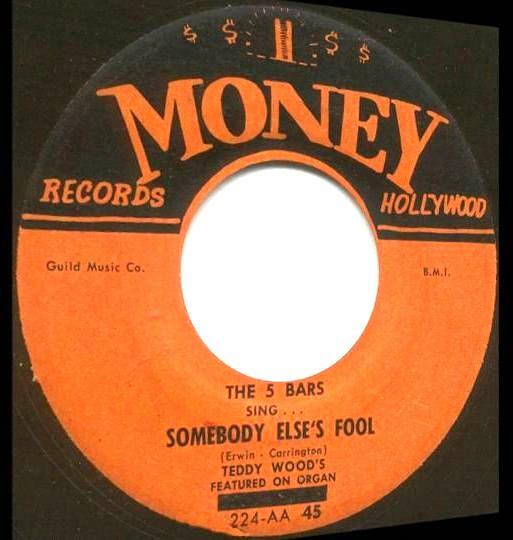 Since Jubilee, in 1952, had been releasing singles on both the 78 and 45 formats, collectors assumed that there must be a 45 somewhere (even then, collectors valued 45s much more than 78s). 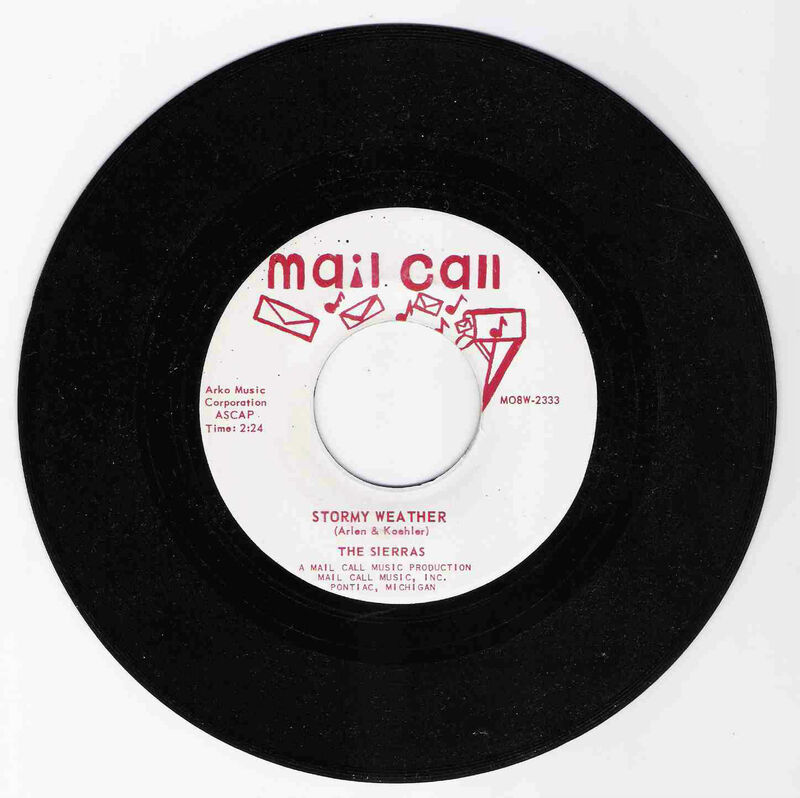 None ever surfaced, however, and only a handful of 78’s of “Stormy Weather” have ever been found. 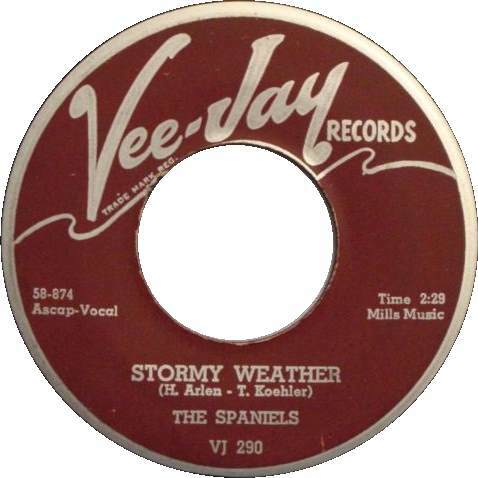 Later recordings of “Stormy Weather” featuring arrangements which appear to be either obviously imitative of, or at least partly derivative of, that of the 1958 Spaniels recording include those by The Skyliners (1958), Tommy Burk & the Counts (1962), The Sierras (1963), and The Zircons (1964). This is part of a demo tape Joe Rock put together in the fall of 1958 to help the group get a recording contract. 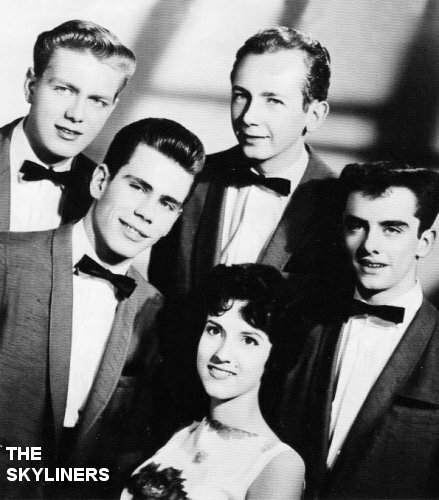 The group was the Skyliners but were still using the name Crescents from Jimmy’s earlier band. 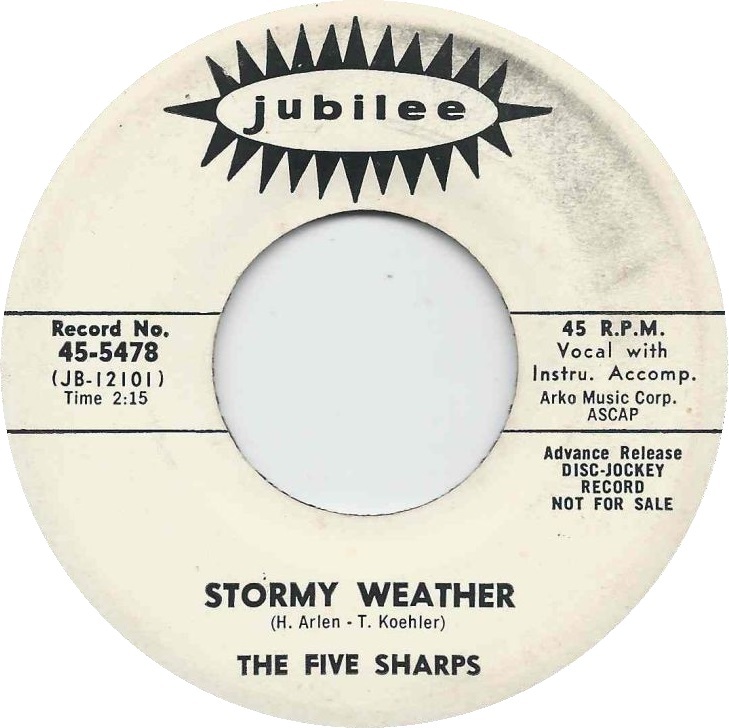 In 1964, as the legend of the song grew, Jubilee hired a new group of musicians, under the name of The Five Sharps. 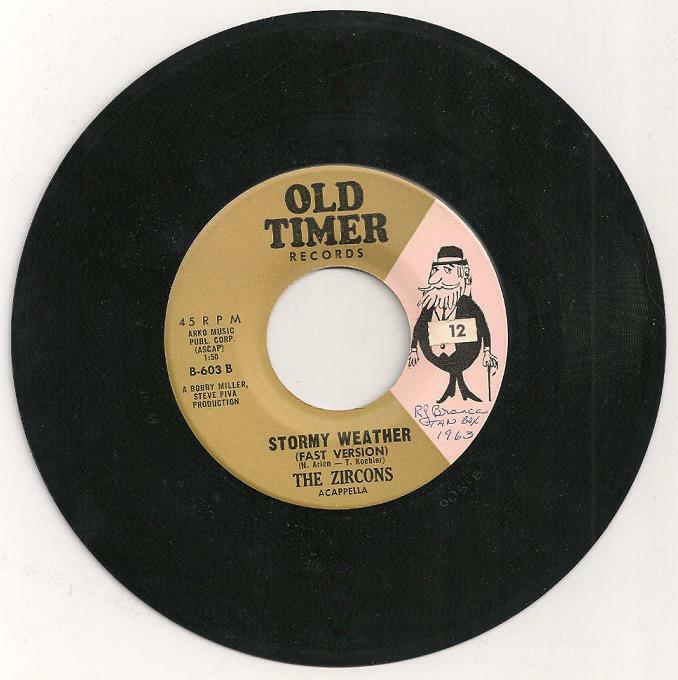 They then recorded a new version of “Stormy Weather”. It was released as Jubilee 5478, a 45 single. This version isn’t nearly as collectible as the first version. 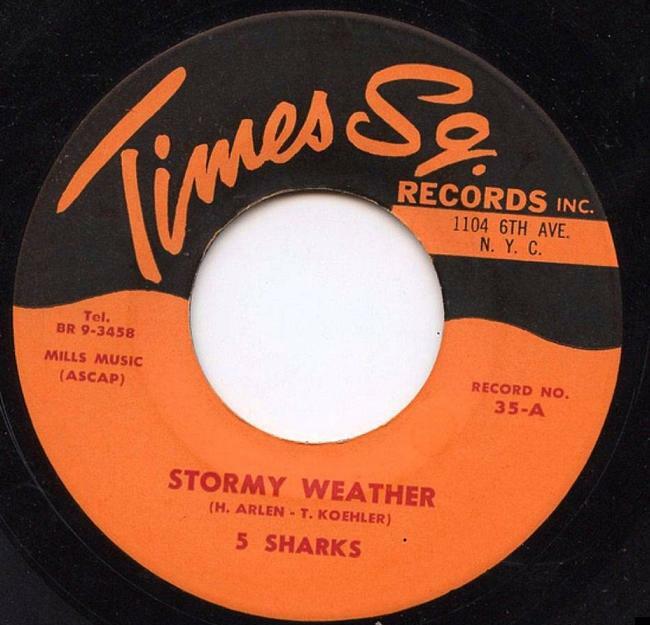 The 5 Sharks — Times Square Records single #35-A, b/w “If You Love Me,” released in (April?) 1964 — In his page on the Five Sharps, Marv Goldberg indicates that this “bogus” version was recorded by a white group called the Florals, “cleverly disguised” behind a pseudonym. The group is unrelated to the group from the Bronx, active in the mid-1960s, named the Five Sharks. 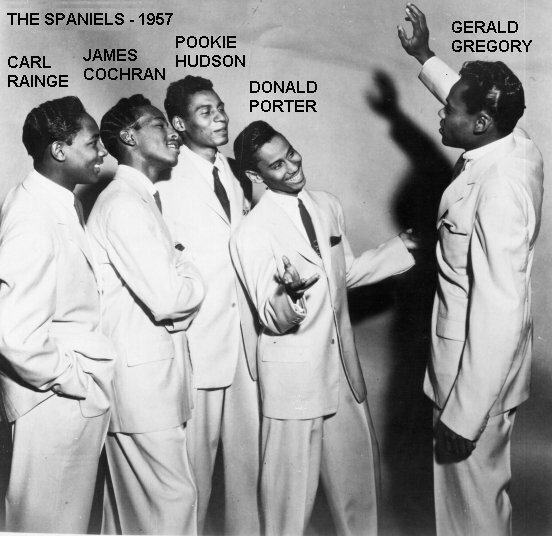 I don’t know if this recording is by the same group called the Five Fashions shown in the picture used by the video creator since the Doo-Wop discography of that group does not include this side.